Works at the Cobre Las Cruce mine. Source: author. The empirical case of the use of water resources in the Cobre Las Cruces mining project (CLC) demonstrates the importance of conside­ring latent environmental conflicts when studying environmen­tal conflicts. According to sociologist Guillaume Fontaine (2004), there can be no environmental conflict without a social dimension. But what if environmental conflicts do not become socially manifested due to strategies deployed by private com­panies with the blessing of governmental institutions? This piece analyzes silenced conflicts created by mining activities and the factors influencing the absence of social response among the population. It expands the concept of environmental con­flict, understood as if its existence depends upon a big and highly visible social response, by elucidating strategies that are deployed to avoid and silence conflicts. 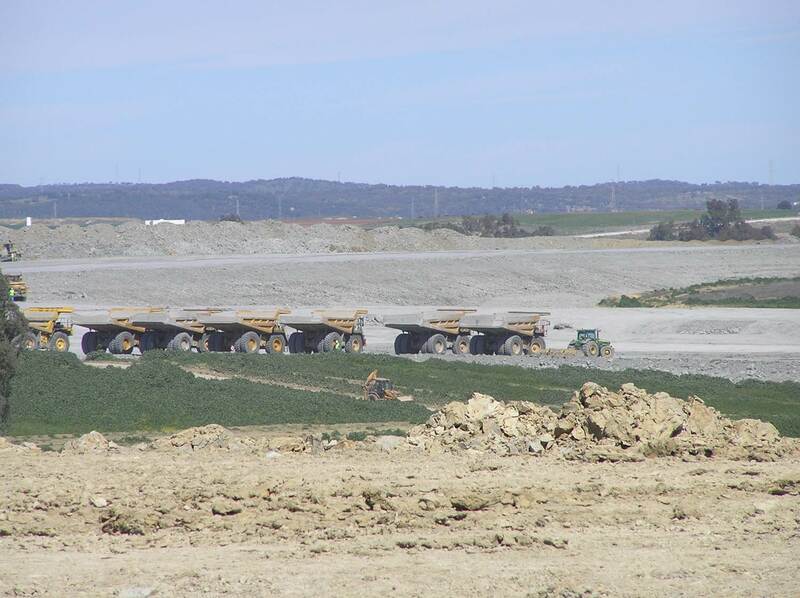 The CLC mining project is located in the easternmost area of the Iberian Pyrite Belt in southern Spain, in the province of Seville (Andalusia), one of the most important metallogenetic provinces in the world. The mineable ore reserves are estimated at 16 million tons with a 6.2 percent average copper grade. The deposit is a highly profitable one, since average grade copper depo­sits above 2.5 per cent are considered very profitable . Besides, the deposit of this mine is special because it is located beneath an aquifer, making the project extremely sensitive to water management. 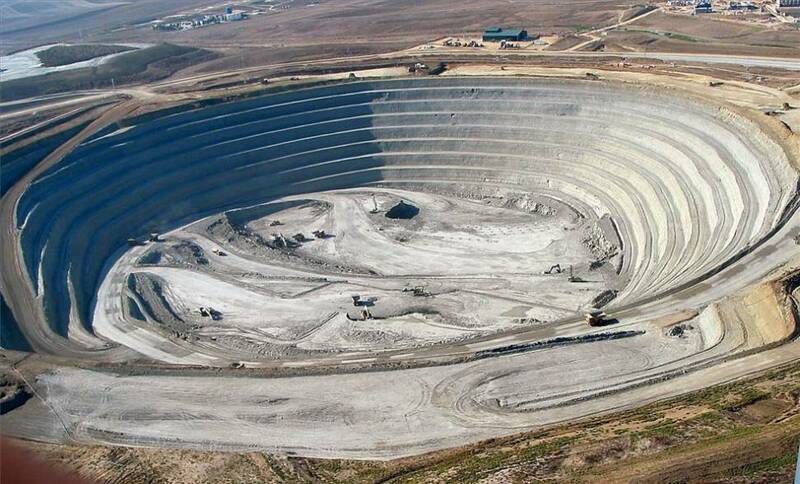 The project is the largest operating open-pit copper mine in Europe, owned by First Quantum Minerals, a Canadian firm, since 2013. Location of Cobre las Cruces mining exploitation in Andalusia, Southern Spain. Source: Andalusia Regional Government, 2009. Copper is an important global commodity but its extraction usual­ly entails massive ecological consequences. Significant environmental impacts arising from copper mining include excessive water use and water pollution. On the one hand, the ope­rations involved in this activity require large volumes of water, and on the other, large amounts of acid mine drainage (AMD) are generated. During the 20th century, global cop­per consumption reached 18,000 million tons and this figure is expected to double in the next 30 years. In Europe, most of the copper consumed is extracted, mel­ted and refined outside the continent. Ho­wever, there have been various extraction sites in Europe historically. One of the lar­gest deposits of copper in Europe is the Iberian Pyrite Belt in southern Spain. In the past, copper mining in Andalusia has led to environmental conflicts, as for instance in the case of the “Aznalcollar disaster” in 1998, which resulted in large-scale water contamination. The Cobre las Cruces mine is in a particularly precarious ecologi­cal zone. Much of the copper is situated directly below an aquifer that is an important source of water for the region. Although the aquifer is not officially overexploited, net extraction of water is prohibited by law. In addition to mining, water from the aquifer is also required for agricultu­ral irrigation during the summer, for industrial supply and for emergency supply of the nearby city of Seville during periods of drought. In order to gain access to the deposit without disrupting the aquifer, a complex water management system was designed and implemented. Immedia­tely after its start-up phase in 2008 this system failed and affected the quality and quantity of the aquifer’s water resources. Legal proceedings were started and are still pending to date. The company is accused of the non-authorised withdrawal of 75.000 m3 of water from the aquifer and of drilling 20 unauthorised boreholes. Further, the failure of the water management system resulted in the discharge of arsenic and other AMD polluting substances. In order to avoid further damage, the regional ad­ministration closed the operation and demanded a new water management system. Open Pit CLC project. Source: diariocordoba.com. In that specific phase of the conflict, the impact on water resources was followed by a social collective response in the form of social protest. 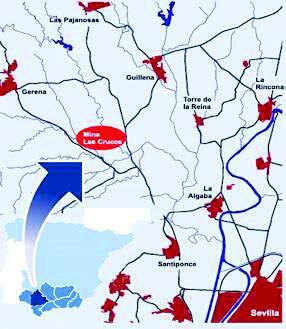 In order to restart the copper extraction, CLC pre­sented a new water management plan to the Andalusia Regional Go­vernment in 2009. The previous water management system, following the water concession presently in force, allowed the company to use 18.3 m3/hour of water from the aquifer. The main change introduced by the new plan was the modification of the volume of water stipulated in the water concession by allowing the use of 157.83 m3/hour of what they called “mine water”, some 876 percent higher than the amount ori­ginally authorised. This concept, introduced through a hydrogeological study, which the mine company commissioned to a group of experts, claims that the volume of water considered as “mine water” is water from the bottom of the pit. It emerges “naturally” as the pit is dug deeper and does not actually come from the aquifer. The introduction of this particular scientific term legitimised the use of more underground water than previously, with no modification of the water concession. It is worth mentioning here that the modification of a water concession in Spain may take up to ten years. The Regional Administration accepted this argument as valid and subsequently approved the plan, thus avoiding any social response to this environmental damage. The NGO Ecologistas en Acción has reported that the argument put forward by the hydrogeological study to introduce the concept of “mine water” was a successful strategy to avoid any (negative) social responses regarding possible environmental damages to the aquifer. The conflict remained silenced because the other water users in the aquifer are not aware that the political decision to approve the new water model – apparently in order to repair environmental dama­ge – has resulted in an authorization to withdraw substantially more underground water, bypassing the existing regulations. Since the beginning of the project, Ecologistas en Acciòn have clo­sely followed mining activities. The NGO successfully petitioned to be named as an affected party in the ongoing lawsuit, thus gaining access to court documents that have allowed for more in-depth monitoring. In order to increase their influence in the proceedings, Ecologistas en Acciòn presented notices of appeal to GHC, the basin authority in charge of the aquifer, to influence future decision making regarding the aquifer in collaboration with scientists. In addition, the mining com­pany’s irregularities have been explained in detail through press relea­ses and reports available in Ecologistas en Acción’s website. Similar to the Aznalcollar pollution disaster, regional au­thorities and local communities both reacted to the environmental im­pacts after the damage was already done. Two factors have been iden­tified influencing the absence of social response. First, the historical dependence of the local population in the mining activity and second the community’s belief that the authorities will supervise and punish the mining company in case of further pollution events. Almost twenty years later the local population´s perception of the mining activity has not significantly changed. Faced with the evidence of the Aznalcollar disaster, they recognize the potential impacts of the mining activities. However, the two aforementioned factors firmly influence the percep­tion that the authorities will supervise the mining activity and will avoid possible damages. Environmental conflicts occur as the result of the high envi­ronmental and social costs of increasing capital-driven resource extraction and waste disposal. However, unevenly distributed envi­ronmental and social costs are silenced if more powerful actors legi­timise resource appropriation. In this case, it was the intervention of scientists legitimising the concept of “mine water”, which has enabled the mining company to access and control the common water resources. Political ecologists can collaborate with NGOs to denounce the top-down, technocratic version of science that silences envi­ronmental conflicts. This can be done through collaboration in presenting no­tices of appeal to different authorities, by writing collaborative reports and disseminating the results in different arenas. Finally, this case shows that studies of environmental conflict must not only analyse the conflicts already socially manifested, but also point out silenced conflicts and the strategies deployed to avoid social responses.